A sweet and dainty bracelet in a pretty feminine style, this is a versatile piece of jewelry that you will love wearing! The simple but stylish look of this bracelet makes it ideal for many different occasions, and it can be dressed up or down. 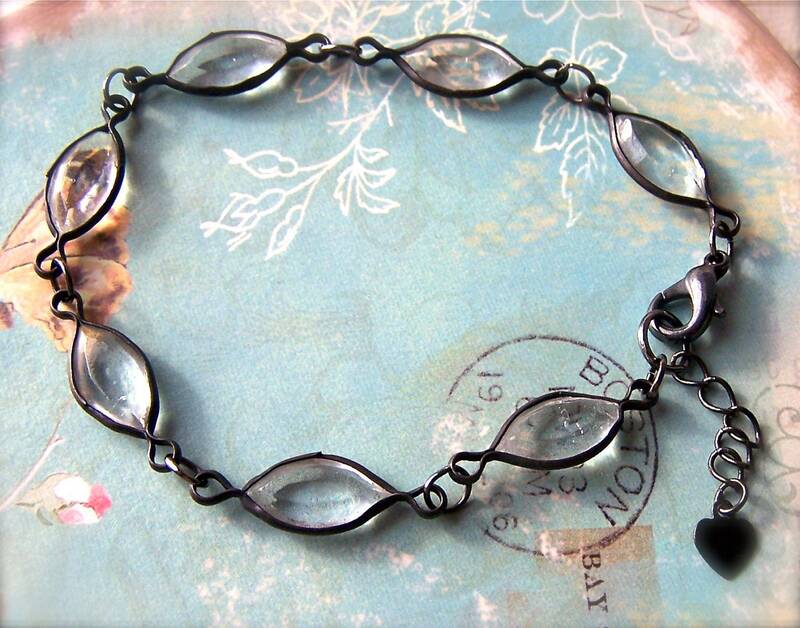 Delicate little clear crystal glass beads in a black frame are linked together with black plated rings, and a pretty little black metal heart charm dangles from the clasp. Folksy :: Buy "Black and white recycled bead bracelet"
Folksy :: Buy "Black Hermatite and Silver Disk Bracelet"